Let me ask you this, are you feeling like some part of your life is a little bit or a lot stuck? Well if you don’t believe it is, then I am so proud of you. What an achievement to know everything in your world is doing just great and you are where you want to be! What a blessing for you huh! On the other hand if you are feeling that you could do with a little bit of help then all’s you have to do is ask or pray or sing or even just think about what it is you need and want in your life to help you become unstuck. Then with the knowing that thoughts become things, asking leads to receiving, praying is powerful and singing stirs the soul, all’s you have to do is believe help is on its way to you, because it is. I am pretty sure there is not a solitary soul in this world who hasn’t needed and wanted some help with “getting unstuck”. 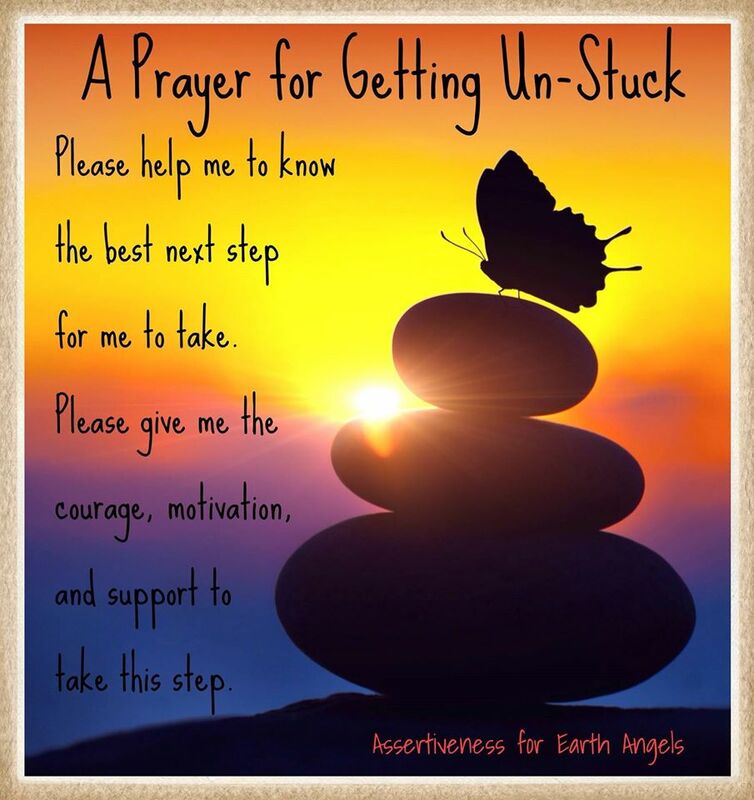 Being stuck shows up in many ways….. wanting courage, strength, motivation, what to say next, what to do next, your energy lifted, healing, support, faith, direction, guidance and the list goes on! So here’s to “getting unstuck” for the next step is pretty damn simple! < Previous Are you wondering? Next > Breaking the cycle of hurt!